In this animated, hilarious, honest, heartwarming and wholeheartedly refreshing book, Luz C. Gonzalez, an acclaimed international speaker and life + business coach, retells stories from her own life that will both have you in tears of laughter, as well as tug at your heartstrings. 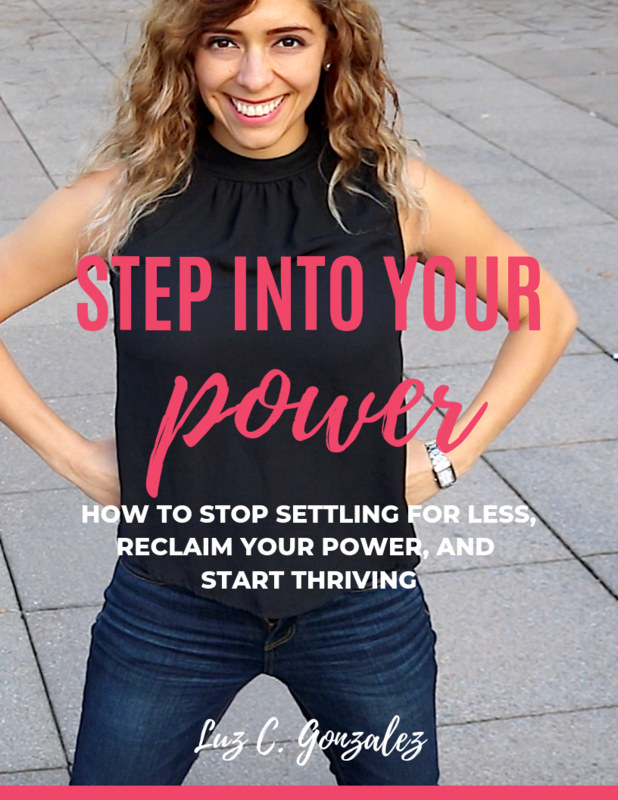 As Luz shares stories from her own journey, she shares best practices from the world of peak performance that will have you feeling like there's nothing you can't conquer. Luz doesn't hold back and doesn't sugar coat. She challenges her readers to step up and fight for a grander version of their life, because life is too special to just go through the motions. She gives readers concrete steps to take so they can start thriving in their life. By the end of Step Into Your Power you'll have a fist in the air, you'll have signed up for 5 marathons, and you'll finally have started the company you merely dreamt of for years. Want a book that will spur you into action? Look no further! *Only 100 limited edition books are available, pre-sale, with a personal note from the author, so get yours today before they run out! 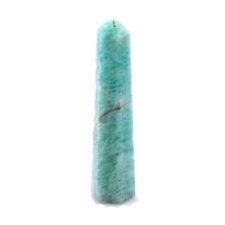 Amazonite is the ultimate stand in your own power crystal. I first bought my own "I Stand in my Power" Obelisk during a life-changing trip that was all about taking a stand for my life. Owning my truth. No longer shying down to please others while making myself wrong and judging myself. ​This stone for me stands for: I am worthy, and I own my worth. I will respect and honor my truth. I am more concerned with what I think of me, than what others think of me. I easily set healthy boundaries. And, my actions are aligned with both my intentions and words, and my living my best life. ​Own your own empowerment stone today, and take a stand in your life that starting today, you stand in your power. 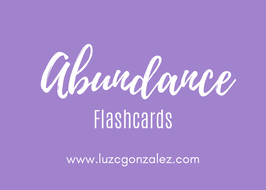 These are custom-made digital flaschards that Luz has used in her own life, and is now sharing so you too can shift your mindset to one of allowing abundance into your life! ​​This is a visualization for you to start your day on fire! The power of visualization is used by olympic athletes, renowned business people, and the most powerful leaders of our time. Take advatage of this guided visualization for you to start your day in the most powerful way possible! If you are interested in being having more accountability in your life, but a mastermind or 1-1 coaching isn't right for you right now, or too costly, this might be perfect for you! This has been one of the most critical pieces to my clients executing on the big goals they set for themselves and holding themselves accountable to their goals and I'm so excited to be able to offer this to you! 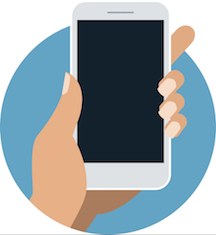 For $95 a month you'll keep yourself accountable to your most important goals! First thing in the morning you will text me your three most important goals (Monday - Friday), and before you call it a night you will report on how you did. There's a process for how to execute on your three-to-thrive, and after you subscribe, I will send you a pdf guide with clear instructions on how to get started! Cheers to you holding yourself accountable to YOURSELF, your goals, and your integrity.